Providing you the best range of monorail electric hoist, higher lift hoist and wire hoist with effective & timely delivery. We are engaged in wholesaling and trading Monorail Electric Hoist. The offered product has been sourced from a reliable vendor base for assuring quality and durability. 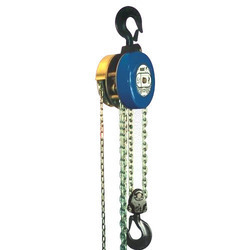 It can be easily installed in jib crane and single beam cranes for lifting weight. This product is made in compliance with the norms of the industrial standards and the prevalent market trends. Our organization is engaged in wholesaling and trading Higher Lift Hoist, which have earned us loads of appreciations and huge profits. 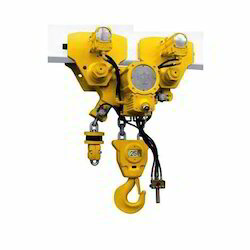 This hoist is used in coal mines and construction sites for lifting heavy loads and transferring them to different places. It is made from high quality material and is provided with a free hook for hassle free movement. Our product range is made in compliance with the norms of the industrial standards. 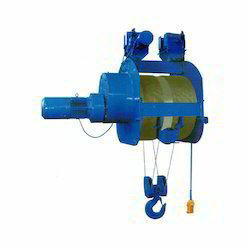 We are a trustyworthy organization offering a wide a gamut of Wire Hoist. Looking for Industrial Hoist ?